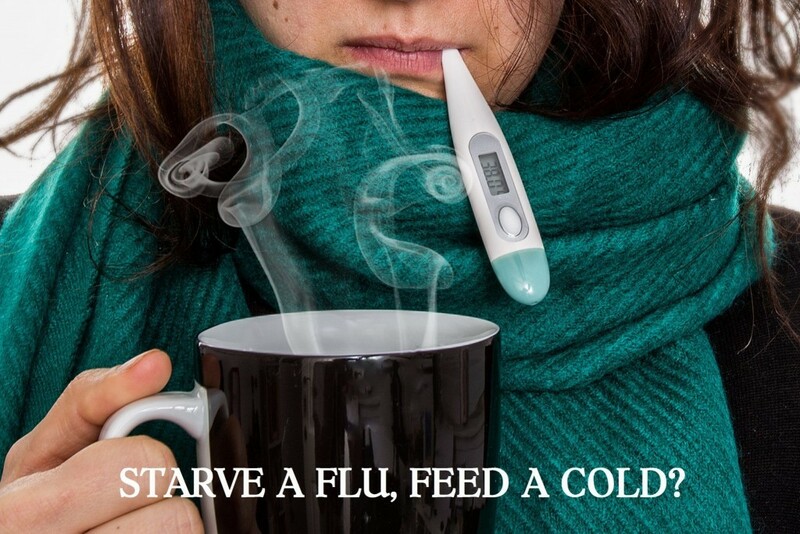 Starve a Flu and Feed a Cold ? Read to Learn More if it's actually true! Starve a Flu and Feed a Cold ? Should you Really Starve a Flu and Feed a Cold ? With flu infections reaching their highest levels in over a decade, hospitals across America are packed to capacity this winter. Follow these tips to keep you and your family as safe as possible! The common cold and the flu actually share many symptoms, and it can be difficult or impossible to tell the difference based on symptoms alone! Furthermore, medical tests can actually identify if you have the flu. You should know that a cold and the flu are both the result of viruses; however, these viruses are very different. Finally, both are contagious, however, the flu is far more capable of causing harm to the respiratory system of the patient than the common cold. Nearly half of all common colds are caused by rhinoviruses, however, more than 200 different viruses can cause a cold. Further, with an incubation period from one to seven days, colds can last seven to 10 days, or up to two weeks, depending on the viral strain. Colds are considered mainly to be a mild respiratory illness. Influenza (commonly called the flu) is a viral infection of the upper and / or lower respiratory system. With a shorter incubation period of one to four days, the flu typically lasts five days to two weeks depending on the severity of the infection. Also, the flu can become intense and potentially fatal in some individuals, so medical attention is paramount. Sage Advice? When it comes to nutrition, the old saying “feed a cold, starve the flu,” is not completely accurate, according to experts. Consequently, this is because starving a fever by eating fewer calories may actually make it more difficult for your body to fight off the flu virus. If you develop trouble breathing or have a severe sore throat. Further, if you have a cough that produces green-colored mucus, experience chest pain, or develop a high and persistent fever – make a doctor appointment. Moreover, do you suspect that you have the flu and are pregnant or over 50? Or, so you have a weakened immune system for any reason, or have ongoing medical problems such as diabetes? You are at a higher risk of developing complications due to the flu and should contact your physician. If you have a child less than 2 years of age with flu-like symptoms, their doctors need to be notified and it may be worth making a visit to them! To conclude, a cold or the flu is no laughing matter. Take the preventive steps that you can. Further, if you are unfortunate enough to come down with one, be smart. Finally, be sure to get the medical help you need if your symptoms tell you so! Thanks for checking out our article Starve a Flu and Feed a Cold ! Call Today at (201) 653-KUTS (5887) to Book an Appointment, or book an appointment on our website by clicking “Book an Appointment”. 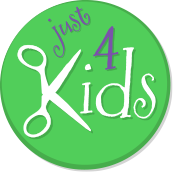 YouTube Page – Do you like to watch videos about kids haircuts and first haircuts? How about toys and video games? Awesome! What about videos about special haircut ceremonies like Mundan or Chudakarana? If so, our YouTube channel is probably for you! Furthermore – Click and subscribe to our channel to watch our great videos, and get special offers and deals as well! Google Plus Page – Google Plus is a great new social media platform! It incorporates a social layer across various services such as Picasa photo storage and sharing! Also – it integrates with GMail, Calendars and YouTube. Be sure to follow us on it, and contribute to our content! Instagram Page – Instagram is a great place to get interesting and local flair content from us! It includes incredible local photography, highlighting the very best that Hoboken and our salon has to offer. We like to provide interesting weather updates, and great photos of haircuts and birthday parties. Finally, be sure to follow us on it! Yelp! Page – Yelp! is the ultimate independent review site on the web. We strive to maintain excellence in this area, and you can browse honest reviews of our business here. Simply check us out and share your experience with us!